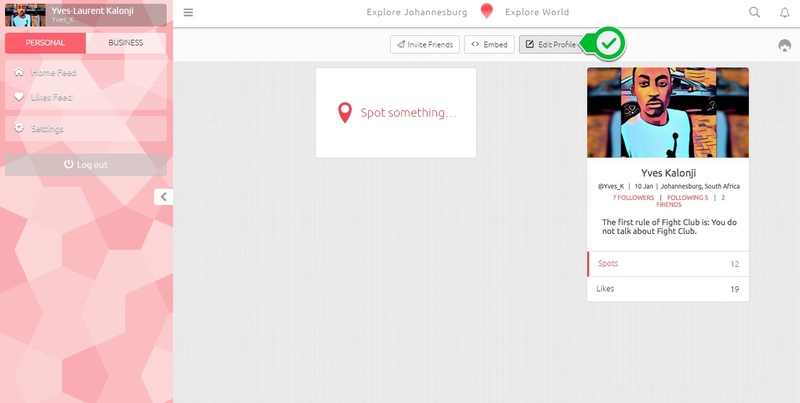 Hover to and select the Settings on the top right of your browser screen. A drop menu will appear. Select the Edit Profile button. Select the Access Details tab to delete your profile. 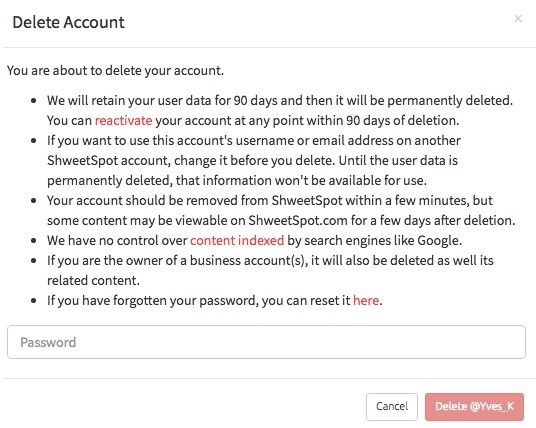 Before you delete your user account, read the deletion rules that will appear before you. Enter your ShweetSpot password to confirm the deletion, just as a security measure 🙂 . Select Delete Account.